Address: 6-B, Mall Road, Agra, Uttar Pradesh - 282 001. Access: Airport: 6 km., Railway Station: 3 km., Bus Station: 2 Km. 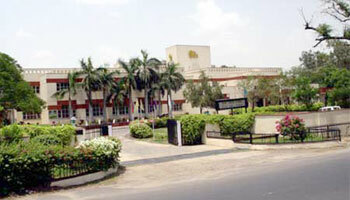 Centrally situated in the amazing city of Agra is the Agra Ashok hotel. The intricate craftsmanship of Agra is revealed in the marvellous marble inlay work on this hotel in Agra. One can choose rooms 49 twins, 4 double rooms and 2 suites. All the rooms and suites of the hotel are centrally air-conditioned with attached bath, hot and cold water, refrigerator, colour TV, hair dyer and telephone. Conference facilities, Health Club, Business Center, Restaurants, Swimming Pool Air Conditioned Room, Banquet Facilities, Bar, Car Parking, Doctor On Call, Fire Safeguards, Health Club, Laundry Facilities, No pets allowed, Power Back-Up, Restaurant, Room Service, Travel Desk, Air conditioned rooms, Cable, Direct STD/ISD, Hair Dryer, Hot & Cold Water, Minibar, Newspaper, Phone, Ironing, Board, Refrigerator, Room Service, Safe , Shower, Television. The Lounge - Serving a choice of Indian and Imported Liquor and Cocktails. What do you think about Hotel Yamuna View? My partner and I stayed here for 3 nights in Sept '06 having booked via Hotel Club in June. It is not 4 star but you are not paying 4 star prices. Our room on the ground floor was clean and everything worked. It was a bit smelly but this cleared with an hour’s airing. I have found that this is a common problem with all hotels in the far east and is due to the high temperature/humidity and aircon. The staff were courteous and efficient. It was disappointing that there was no Internet facility. The pool is in need of refurbishment and was so cloudy that I would not risk swimming in it. The poolside furniture is ‘tired’ and requires replacement. We used the main restaurant for breakfast and lunch and found the food and service to be fine. The real find, however, was the Chinese restaurant which was immaculately fitted out and provided one of the best Chinese meals I have ever eaten. My Fiance and I stayed in the Yamuna View hotel (Agra Ashok) for a few nights in Jan 06 having walked out of the Hotel Sheela cos it was so filthy and found and booked the Ashok pretty much on the hoof over the phone, clutching our guide book, from outside the Sheela (see separate Review). We were so grateful to get into a half decent room we didn't really care that the decor was a bit '70s and the place could have done with some updating and yes maybe the room did have a bit of a musty smell (cleared by air con). All up then , its probably not the best hotel in Agra, but it sure aint the worst but you could probably find better for your money if you had some time.